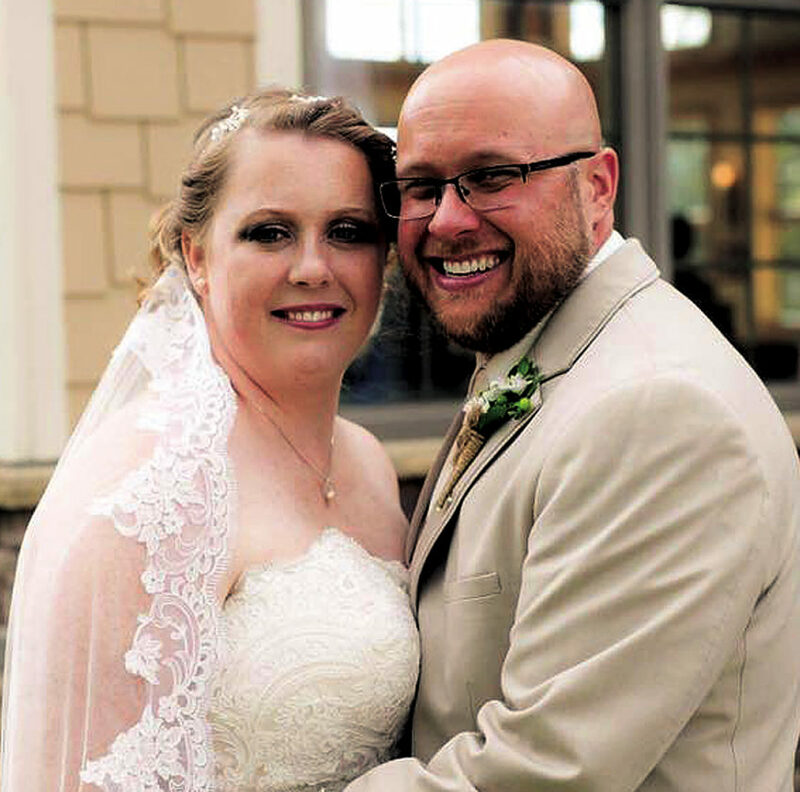 Jamie Nicole Sprinkel and Anthony Nye Frazier exchanged wedding vows Oct. 1, 2016, at St. Bernard’s Catholic Church at Snowshoe. The Rev. Randy Long officiated. The bride is the daughter of Randy and Sherry (Lynn) Sprinkel of Valley Bend. The bride-groom is the son of Tim and Karen Frazier of Leon. The bride was escorted to the altar by her father and given in marriage by both parents. 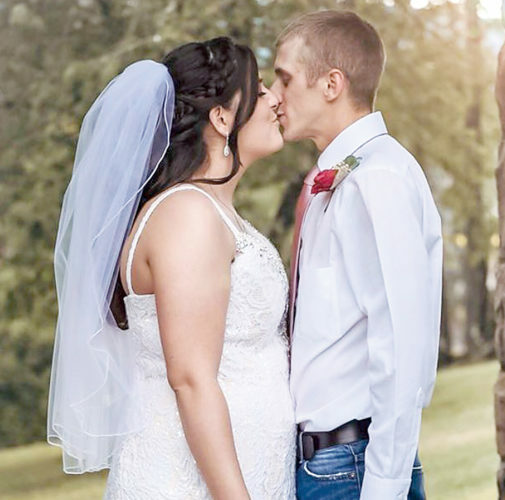 The bride’s dress was a lace strapless sweetheart neckline with a train made by Allure. Her veil was cathedral-length. 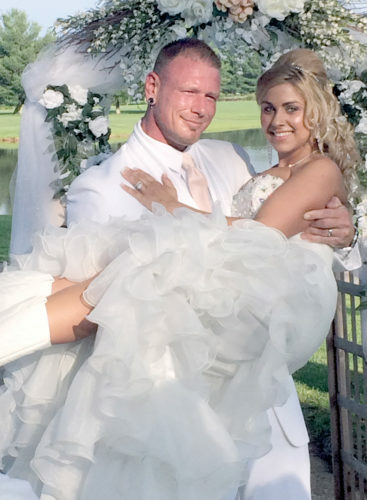 Sheena See May of Mannington served as matron of honor. 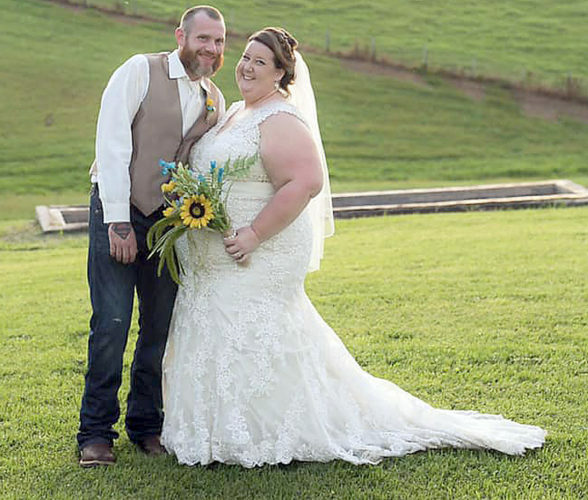 Serving as bridesmaids were Dawn Gates of King George, Virginia, Vickie Hickland of Fredericksburg, Virginia, and bridesman Travis Wamsley of Fairmont. Serving as flower girl was Macy May, daughter of the matron of honor. 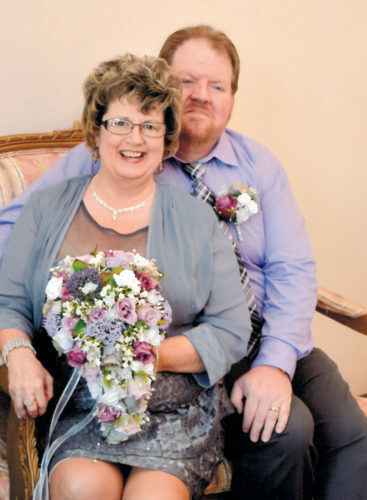 Lee Groves of Fayettesville served as best man. Ricky Sharp of Valley Head, Rick Harper of Franklin and Gerald Sprinkel, brother of the bride, of Valley Bend, served as groomsmen. Serving as ring bearer was Jarrett Davis of Beavercreek, Ohio, and Jackson Davis, of Beavercreek, Ohio, served as the wedding attendant. Both are cousins of the bride-groom. Violin music was provided to the guests prior to the wedding and for the wedding march by Linsee Mullennex, cousin of the bride, of Elkins, and Amy Engelkemier of Maryland. All members of the wedding party have been longtime friends of both the bride and bride-groom. The wedding couple chose an elegant, rustic theme. The tables were adorned by homemade rustic lanterns made by Gerald Sprinkel, brother of the bride, and were accompanied by flowers that were provided by Rennix Flowers of Valley Bend. The wedding cake was provided by Patsy Harper of Harman. Photography was provided by Photography by Amanda. 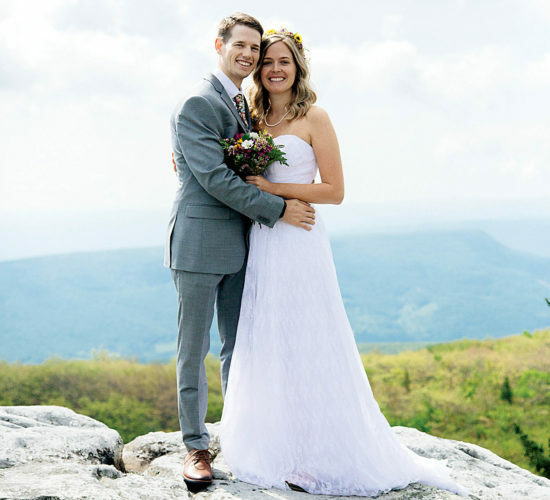 Following a two-week honeymoon to Alaska, the couple now resides in King George, Virginia.